Nissan Juke R, what to do for a production version? There has been a lot of buzz over the Nissan GTR powered Juke R. It is one of those insane ideas that comes along every so often as a prototype and makes everyone wonder if it could ever make it to production. The last time this sort of thing happened, VW put a Bentley GT engine in a GTI, it caused a commotion and even appeared on Top Gear, but that was all that became of it. 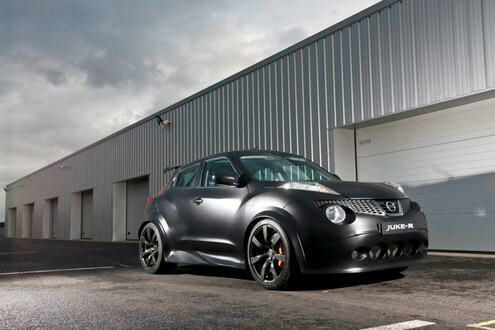 I see the GTR powered Juke R as the same sort of thing, a fun prototype that won’t actually make it to production. 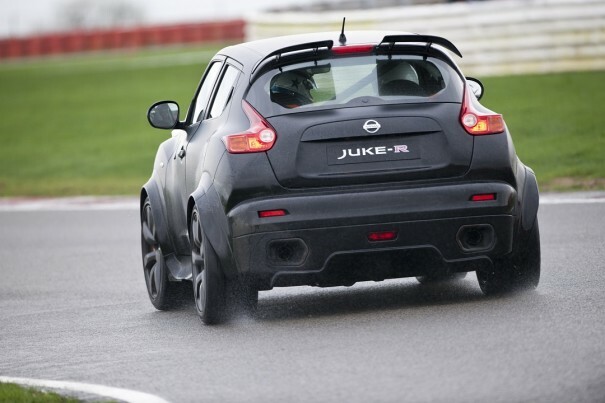 It does however raise the question of what a high performance Juke could actually be like in production form though. I loved the Juke when I drove it. It’s a car with a lot of character and a fun and playful presence. I think there is a market for a high performance version though, and it could play off of the GTR’s image and the Juke R concept. A production Juke R doesn’t need to be a re-bodied Nissan GTR, that is useless when it comes to marketing. What a production Juke R needs to be is a “segment upset” like the GTR; I’m thinking all wheel drive, manual or DCT/paddleshift transmissions, a turbo 2.0L producing 300-350hp, and the use of many of the same computer gadgets that make the GTR so darn fast. The production Juke R needs to upset STIs and Evos the way the GTR upsets Ferraris and Lamborghinis. This would make the Juke R into a “mini GTR” that everyone would want, and not a glorified CUV with an excessively expensive drivetrain. Nissan also does not have a direct competitor to the rally cars as of yet, and the Juke has the total package to take them on if given the performance. It seems to make sense from a marketing perspective, and the concept Juke R has already peeked people’s interest. I say give it a go.